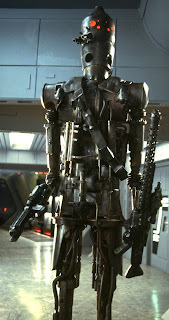 IG-88 is a bounty hunter who makes a brief cameo in the 5th installment of the Star Wars franchise. He's a supremely intelligent robot who is incredibly effective at making his targets "go away" (if you will). Here's a screen grab from the movie. Can you see him? He's the slender droid in between Boba Fett and Dengar. Here's an up-close image of him. So IG-88 is one of my favorite characters in the Star Wars universe, and not just because he has like 15 different eyes. IG-88 is awesome for so many different reasons. Here's how his story breaks down. Some crazy scientists set out to create a new kind of artificial intelligence that could think and learn like no other droid before it. They created IG-88 and got a whole lot more than they bargained for. Within minutes of his creation, IG-88 had killed his creators and duplicated his consciousness four times into identical clones of himself. He quickly became known across the galaxy as a ruthlessly effective bounty hunter. While eventually all four of "him" were destroyed, I think my favorite part of his story is the one time he almost took over the galaxy. Yep, that's right. IG-88 attempted a total takeover at one point, and he would have got away with it too if it hadn't been for those meddling Rebels (and some really unfortunate timing). You see, when IG-88 learned that the Empire was rebuilding a 2nd death ball of mass destruction, he hatched a brilliant scheme. Essentially his plan was this: IG-88 + Death Star = Profit. So while the Rebels had the Empire entirely distracted, IG-88 uploaded his "brain" (for lack of a better term) directly into the Death Star. If he could control the largest killing machine ever created, he could cement himself in Galactic history and start a robotic revolution. Scary stuff! 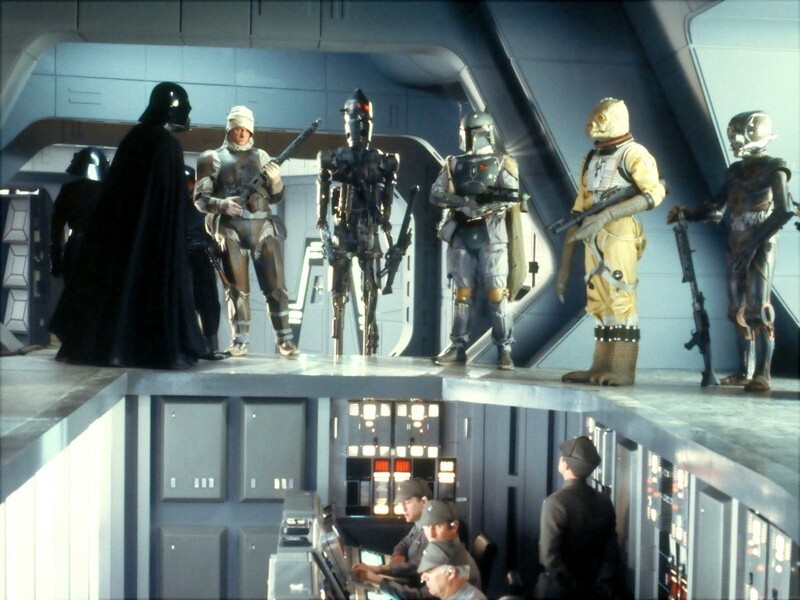 In the end, IG-88 sort of succeeded in taking over. But if you want to get technical, the Deathstar blew up (IG-88 included) before he could ever do anything. Dang! He missed it by that much! He wouldn't suceed ij taking over the galaxy. The empire could still easily blow it up and palpatine could probaby destroy ig 88 using the force once his presence was known.